I think deebert from here goes there. I haven't been yet but plan to go soon once I get the bike situated. Tried checking my AP today and I'm getting ZERO squirt! No wonder its riding like no powa lol. Glad you made it on here. 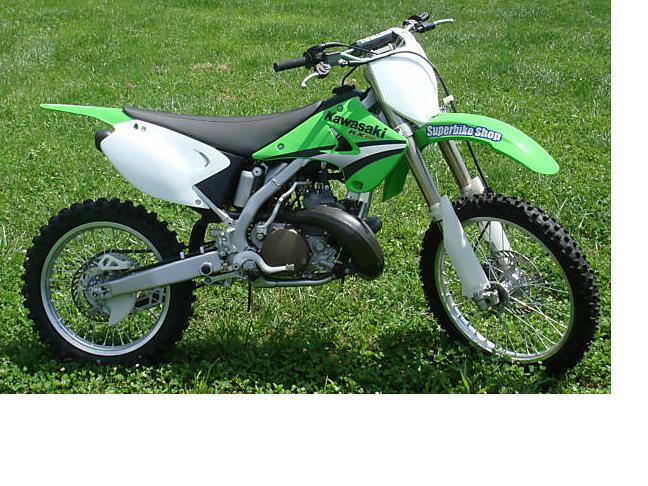 Tell green to post up some pics of his clean Kawi! me, Green1, & Kawboy went to the ridge today. Had a blast, will definitely be going back. What camera are you using? GoPro is coming out with a HD version soon! Post the vids when you get a chance. The Ridge was cool. We will be back. Here's the newly aquired '05 250. Damn that does look niew. Looks good! My 05 WR was about new too. Gotta love well kept bikes! We are heading back to the Ridge this weekend if anyone is wanting to go. Probably either early Saturday morning or after church Sunday. loved the Ridge . Rode till I couldn't hardly move. velosity's airconditioned trailer made it easy on an old guy. I can't go this weekend, how about next weekend? If we don't go to the Wolf Slide Hare Scramble in Tuscumbia next weekend then we will see you at the ridge. Wolf slide????? hmm, is that a team race Dee? Nope, it's a SERA AMA sanctioned Hare Scramble and YOU ARE READY for it!!!! We are about 90% sure we are going, the only thing holding us back is the buddy race the next weekend. The Ridge next Saturday. I'll try to be ready. Not going to make it this Saturday, just dropped bike off at fast lap for some suspension fine tuning. You guys should come out to the Buddy race at the Tree Farm September 19th. Kawboy, Green and me are going to the Ridge Saturday October 3. Anybody else gonna be there? Team Green is planning a Ridge trip on 10-31-09 .This will be our third time there , so sombody is liable to get hurt ( probably me ) . Anybody else going to be there? Team Green is tryin' to get up a Ridge trip on Saturday Dec.12 If the weather permits. Is weather gonna be good enough to go this weekend (1-23-10)?